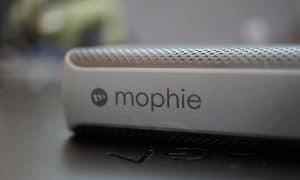 Powering up your gadgets is an essential part of everyone’s lives these days. We’re more mobile than ever and having a power source close by is super important. 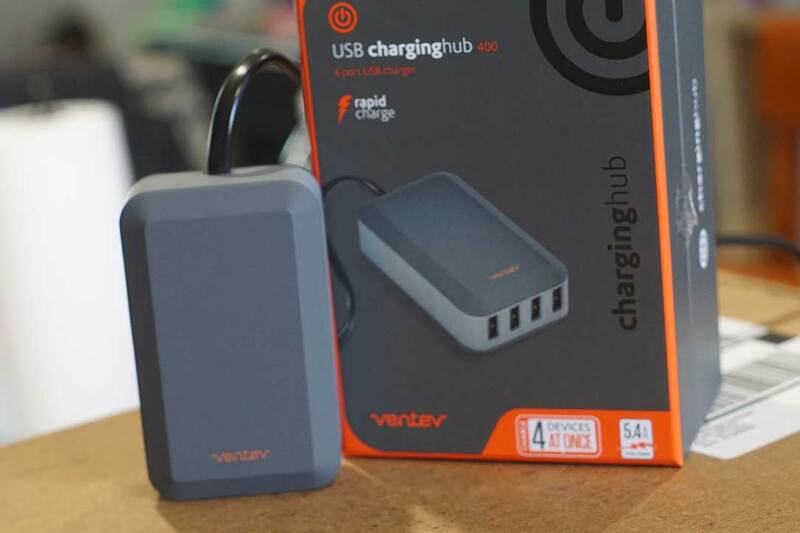 In our Ventev Charge Hub review we’re going to take a look at a couple of the offerings from the company that are designed to make your life easier and keep your gadgets juiced up. Made from solid plastics and rubbers the Charge Hub 400 feels solid in the hand and has a little heft to it for its size (not overbearing though). It’s small enough to carry around in a bag or backpack for travel though and is solid as a rock. The cable is pretty long and can be the only thing that could get annoying but you do need to plug it into a power source for it to function. Around front you have 4 USB ports. One is a dedicated 2.4A for charging tablets while the other three share a total of 3.0A. The hub is soft to the touch and is really a handsome design, overall big points for design. As simple as plugging the Charge Hub 400 into the wall and your USB devices into the Charge Hub 400, nothing easier than that. The Charge Hub 400’s 2.4A USB outlet does a great job of charging up tablets and it also supports rapid charge for those with the functionality built into their devices. The Charge Hub 400 handled four of my devices with ease and never skipped a beat, performance was excellent. Priced at $39.99 the Charge Hub 400 is a great deal but for an additional $10 you can snag the next Charge Hub below that has two extra ports. A great hub if you only need 4 USB ports, but worth spending the extra $10 for the Charge Hub rq600. Great portable USB hub with 4 ports that supports rapid charge. No cons here at all. Priced fairly at $39.99, this 4 port hub is great for on the go and to throw in your bag. 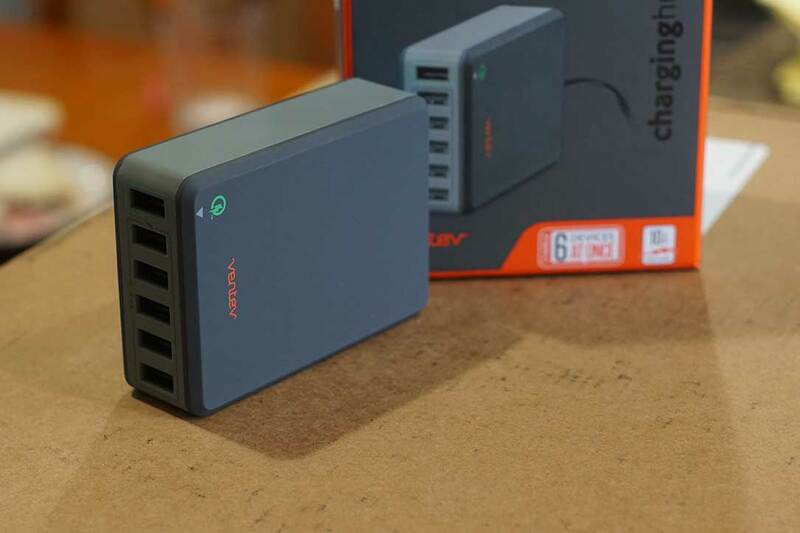 The same materials and design as the Charge Hub 400 only with two extra USB ports and nearly in the same footprint. The rq600 is not all that much bigger than the Charge Hub 400 and not all that much heavier. The design is still handsome and materials are premium so everything from a design perspective remains identical. The one design advantage the rq600 does have over the 400 is the detachable power cable, that does come in handy. Plug and play, there’s no learning curve here at all, very simple to use. 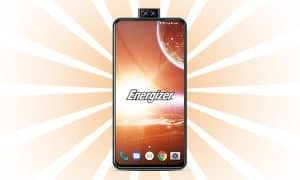 The rq600 has one dedicated Qualcomm Quick Charge 2.0 port which is different from the Charge Hub’s rapid charge port. The rq600 actually supports Qualcomm’s technology so it will work better with devices that have that capability. The other 5 ports share 8A of total power and support rapid charge as well making this hub a great performer. Priced at $49.99 this hub is the way to go, well worth the extra $10. The Charge Hub 400 is a great small hub and will work for most but if you are in need of Qualcomm Quick Charge 2.0 and two extra USB ports, then the Charge Hub rq600 is your best bang for the buck. 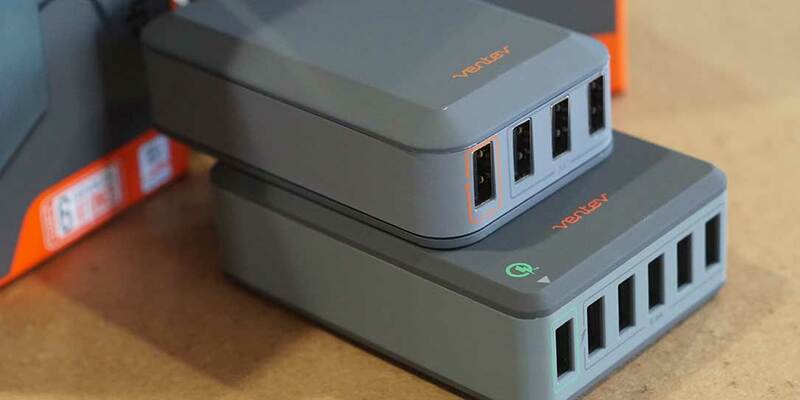 Another great charging hub but with 6 ports. 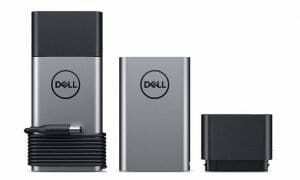 Also supports rapid charge and sports a 2.4A port. Another great hub to have on hand, a bit heavier and bulkier than the 400 but is possible to carry around with you. *We were sent samples of both Ventev hubs for the purposes of this review.